Continuing with my summer theme of participating in as many different linkys as possible .... 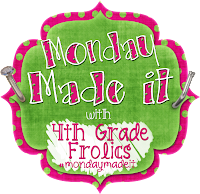 I am linking up with 4th Grade Frolics for Monday Made It! I am relatively new to running. I actually started regularly running about 1.5 years ago when I felt like I wasn't getting enough exercise. Since then, I have begun participating in several different races. I love all the great themes, and especially a great shirt and medal. The only problem is...what to do with all those race bibs and medals? I went searching on Pinterest and found this great idea, but I wasn't really willing to spend $30 on one! So, I decided to make my own! It really wasn't too hard. I went to my local Michaels and picked up two cans of spray paint - one black and one clear coat. Then, I purchased a white paint marker. Next, I went to Target and got some curved hooks for the race bibs and a mounting hook for hanging.. To begin, I spray painted a couple of coats of the black paint, followed by a couple of coats of the clear coat. Once all that had dried, I wrote my name with the white paint marker. 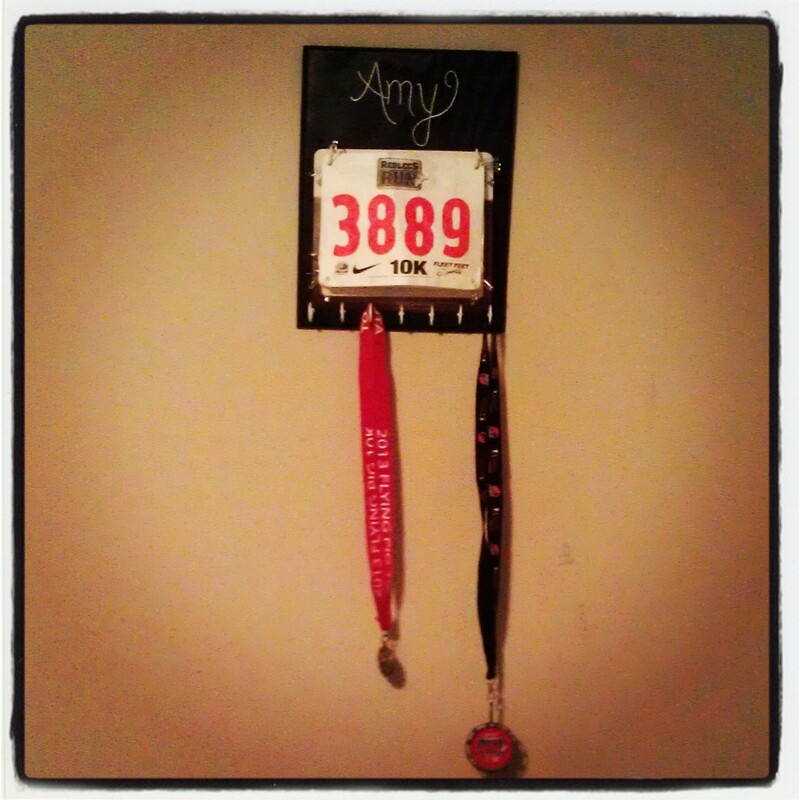 Then, I drilled holes and added the hooks for the race bibs and medals. Finally, I added the hook to mount the whole project on the wall. Overall, I am very pleased with how it turned out, and it was much cheaper than $30! Now on to the next challenge...training for my first 10-miler! Since summer is quickly slipping away, I decided I needed to take a little break from lounging and make some TPT products! I was going with a "Back to School" theme. 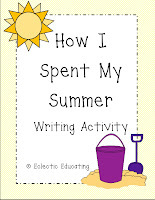 First I made a "How I Spent My Summer" writing activity. It includes planning sheets to help guide students. Next, I made a reading interest inventory. I give my students reading interest inventories every year. They are a great way to learn more about your students' reading abilities and preferences at the beginning of the school year. Well, those are all the projects I have been working on lately! What have you been up to? What a cool DIY project! That must look great hanging in your apartment! 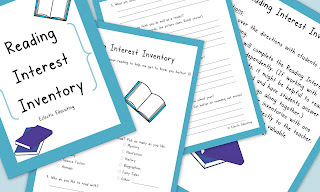 I think reading interest inventories are a great idea. Awesome idea for displaying your racing stuff. I used to run and love my race day stuff. Your post wanted to make me run again!! Thanks for sharing.